At Rejuvenol we may be known for our State-of-the-Art Keratin Smoothing Systems, but we believe that all hair is beautiful. Curly hair is the trickiest to care for, but today I have some tips to make your curly hair care a breeze. Today's tips are backed by science and are focusing on the cuticle of your hair. The biggest problem with curly hair is the frizz, creating rough undefined curls. With the right care, your curls will be soft, defined, and full of life. Are you ready to learn some tips? Less Is More: The less you wash, the better! Curly hair is the most prone to being dry, so it is important not to wash your hair too much. Shampooing your hair too much results in your hair cuticles being opened which strips the hair of its natural oils. What is the result? You guessed it frizz, frizz, frizz. Try to only wash your hair once or twice a week. Check Your Ingredients: Make sure to use products that are specifically made for curly hair, look for products that are sulfate and alcohol free. These two ingredients are the ones that truly dry out the hair. Our Argania Curling Balm is formulated specifically for curly hair, so it is a great addition to your curly hair routine. 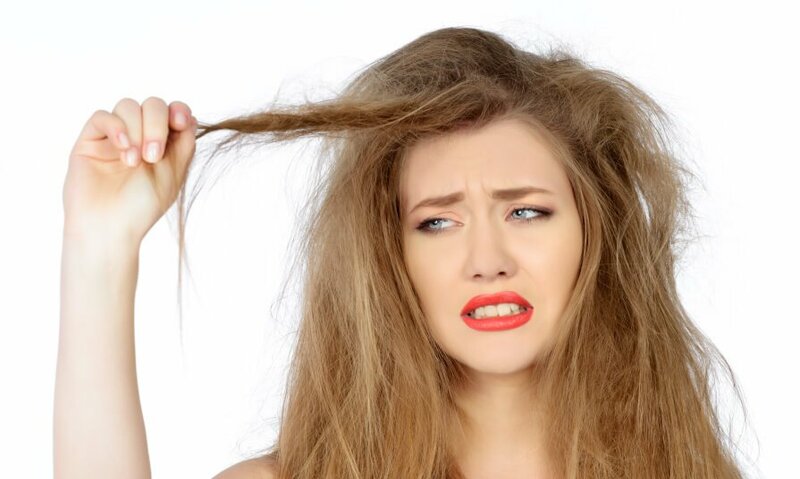 Hydration Is Key: So your hair is dried out and frizzy, now what? The only solution is to rehydrate your hair from the inside out to give it life. Try the intense hydration of our Argania Hair Mask, to bring life back to your curls. For only $24 you can't get better than that. Your curls will absorb this moisture and they will thank you. I have personally used this hair mask twice a week, and my hair has never been softer before in my life. It is best to do this treatment at least once a week for the best results. Avoid Towels: This sounds silly, but it is true. Rubbing with a harsh towel opens the cuticles making your hair frizzy. The Solution? Dry your hair with a cotton t-shirt and scrunch the leftover water from your hair. Then, let your hair air dry trying your best not to interrupt or touch your curls while they are drying. Interrupting the drying process will cause your curls to frizz. Using a Wide Tooth Comb: If you have curly hair, and you've been using a brush, throw it away immediately. Pulling these sharp bristles through your hair will split your hair follicles damaging them and causing them to frizz. Only comb your hair with a wide tooth comb before your shower, and gently finger comb after your shower. Be careful, because wet hair is more prone to breakage. Ditch The Hairspray & Mousse: What's worse than crunchy curls? That's right, NOTHING. Using these products, which contain the highest amount of alcohol I might add, do nothing but dry out and damage your hair. Not to mention the white flakes that fall from your hair after they dry. Yuck! 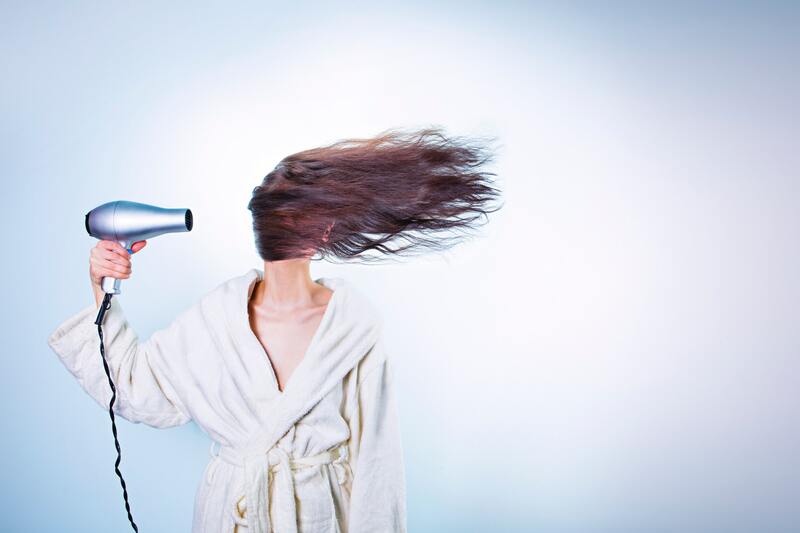 Ditch The Heat: This is a no-brainer, excessive heat will damage your hair, we all know that. 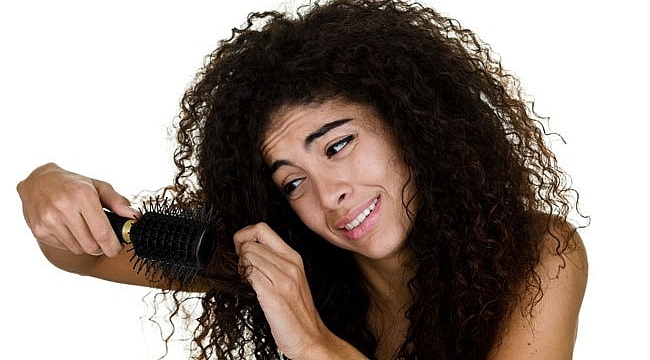 Excess heat will also cause your curls to lose their natural shape, making them look flat and lifeless. Avoid using heated styling products and focus on hydration for a week or two and your hair will bounce back. If you MUST use hot styling tools make sure to use them on a low temperature and protect your hair with a heat protectant. Nothing beautiful ever comes easy, but with the right care, your curly hair will be bouncy, soft, and full of life. If you have any more curly hair care tips, feel free to comment them below as we'd love to learn some new ones!